Arrival at the Juan Santamaría International Airport. Private transfer to your hotel in San José. Driving through rural and urban areas, enjoy the beautiful landscape. The Poás Volcano is the largest geyser in the world. Walk to Lake Botos admiring the exuberant volcanic vegetation. Visit Doka Estate, a highland coffee plantation, and learn about the industrialization of the Gold Bean. Continue to visit La Paz Waterfalls and Gardens. Departure to Limón. Drive through the Central Volcanic Mountain Range and experience the weather, temperature and landscape variations. After Guápiles, see many large banana plantations. At the embarking point, you will board the boat to Tortuguero. Admire the great diversity of flora and fauna, for example, sloths, monkeys, crocodiles, turtles and more. In the afternoon, visit the small town of Tortuguero and its tiny Green Turtle Information Center. During the morning, guided hiking tour through the mysterious Tortuguero Rain Forest. In the afternoon, boat tour through the canals of the National Park. Great opportunity to watch some of its 309 different bird species and many other animals, swamp forest and aquatic plants. After breakfast, enjoy again the ride through the canals on your way back to the disembarking point. Continuation by road to San José. Transfer from San José to Tárcoles. In the afternoon, enjoy the Villa Lapas Sky Ways tour. In this Private Reserve, dry and rain forest converge, setting your pace through natural trails and hanging bridges to admire nature at its best. Early morning visit to the Carara Transition Forest National Park. With an extension of 4.700 hectares (11.615 acres), the park is located on hilly lands, in a climatic transitional zone between the dry North Pacific and the humid South Coast. Probable sightings of macaws, parrots, partridges, toucans, flycatchers, hummingbirds, howler monkeys, coatis, sloths and armadillos. Early afternoon, departure to Monteverde passing by Orotina. across the Arenal Lake. Continuation by road to La Fortuna. Morning at leisure to enjoy the surroundings of La Fortuna. Late afternoon, if the sky is clear, admire the almost perfect cone of the Arenal Volcano. At 1,633m above sea level, its 140m deep crater was formed over an ancient caldera. Visit also Ecotermales Hot Springs and its idyllic tropical gardens. 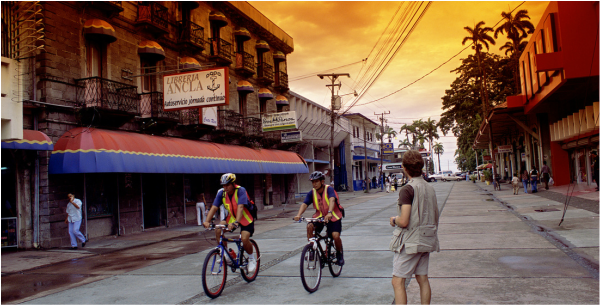 Transfer from La Fortuna across the Guanacaste Mountain Range to Cañas, and then to the city of Liberia, to arrive at Rincón de la Vieja. Afternoon at leisure to enjoy the different activities at this Hacienda. Early morning, visit to Rincón de la Vieja, an active volcano at 1.895m (6.200 feet) above sea level. This National Park protects the home of innumerable animal species. Visit Las Pailas, an area with intense volcanic activity, boiling mud pools, steamy cones and sulfuric gases. Or in “Azufrales”, enjoy small pools with hot springs as well as refreshing waterfalls. Early afternoon, transfer from Rincón de la Vieja to San José or to your selected beach hotel on the Pacific Ocean.